Nina Simone / Billie Holiday Remixed & Revisited f. Jill Rock Jones - Venkman's | 740 Ralph McGill Blvd. 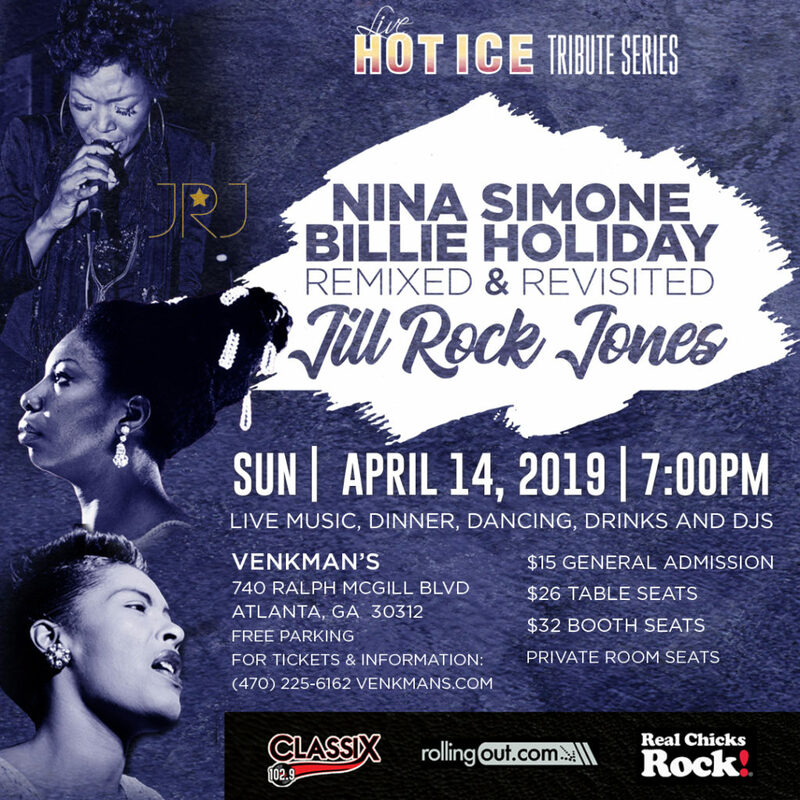 Back by popular demand, Jill Rock Jones channels the best of Nina Simone and Billie Holiday with original arrangements and music. Experience live music, dinner, and drinks with multi-faceted Jill Rock Jones as two of the most prominent Souls in Jazz music. Billie Holiday nicknamed “Lady Day” was a Philly girl born in 1912 and was considered to be one of the most influential voices in jazz music. While denying the similarities between them, when“Nina Simone Sings Billie Holiday” was released in 1972, the music drew an even stronger connection. Both artists were known to be rather outspoken about issues related to racism, sexism, love, and self-discovery. International vocalist and recording artist Jill Rock Jones has become a crowd-pleaser in Las Vegas, New Orleans, Shanghai, Kyoto, Paris, and her hometown Atlanta. Known for immersing herself into personas of the artists she performs, her recent portrayal of Grace Jones, Aretha Franklin, and Prince have given her a consistent run of encore performances across the country. A singer/songwriter, Jones’ original music spans Jazz, Rock, Soul and House music genres. She has also performed with the likes of Jazz greats Donald Byrd and Freddie Hubbard.